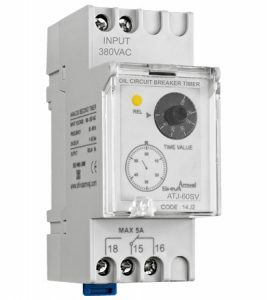 Shiva Amvaj Oil Circuit Breaker Timer features small size, accuracy and stability, and a panel security lock (to prevent unauthorized access or tampering). The device acts as a delay timer suited to industrial applications (oil circuit breakers and others). برای دریافت پاسخ سوالات خود بر روی پشتیبانی آنلاین کلیک نمایید.